In each particle of this existence, there is a reflection of God. 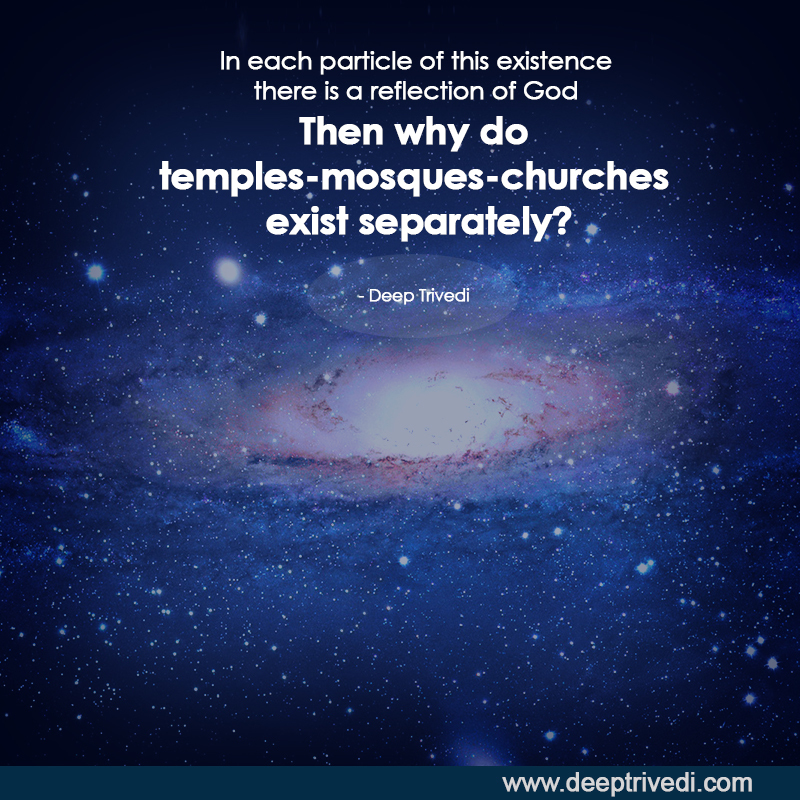 Then why do temples-mosques-churches exist separately? Greatness is not in living a life without hardships, but in the ability to remain cheerful even when surrounded by miseries. Religion has nothing to do with God, worship, temples, mosques or churches; it is directly related only to the teachings that take the human mind to newer unprecedented heights.